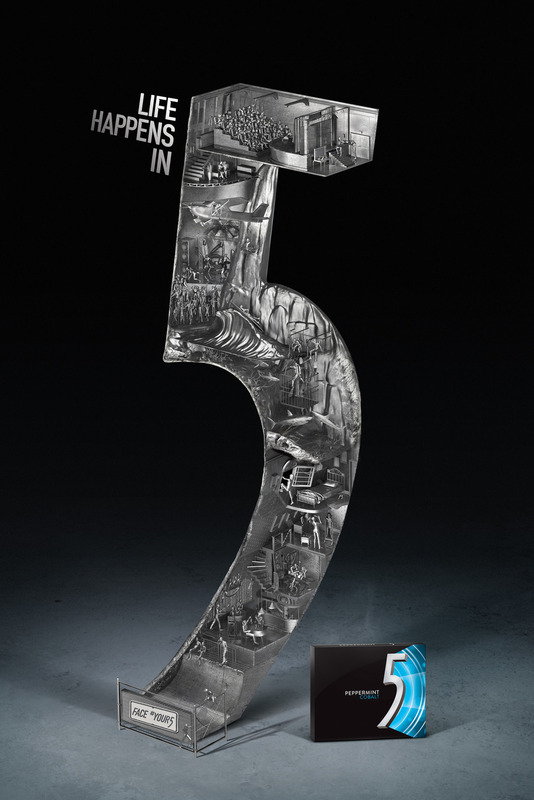 After a decade of sci-fi commercials, 5 Gum was becoming forgettable. To appeal to teens again, we launched Life Happens in 5, based on the idea that the 5 seconds before you do something is scarier than actually doing it. We launched with 5 global TV spots that highlight what teens aspire to do every day--live a little. From public acts of karaoke to impromptu stage diving, our print ads featured activities and actions that would make anyone's heart race--all happening within the 5 Gum logo or pack. From public acts of karaoke to impromptu stage diving, our print ads featured activities and actions that make your heart race--all happening within the 5 Gum logo or pack. 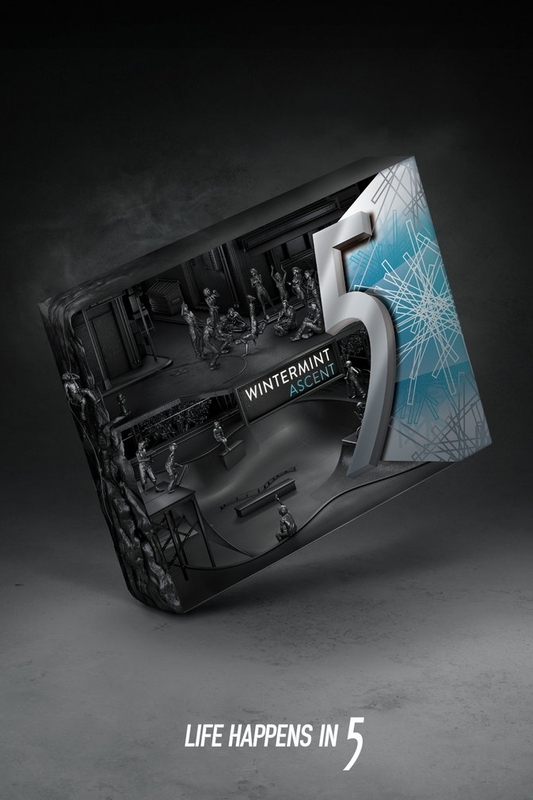 And as teens started to weigh in with their own moments of 5, we highlighted them on a brand new product site: 5gum.com.